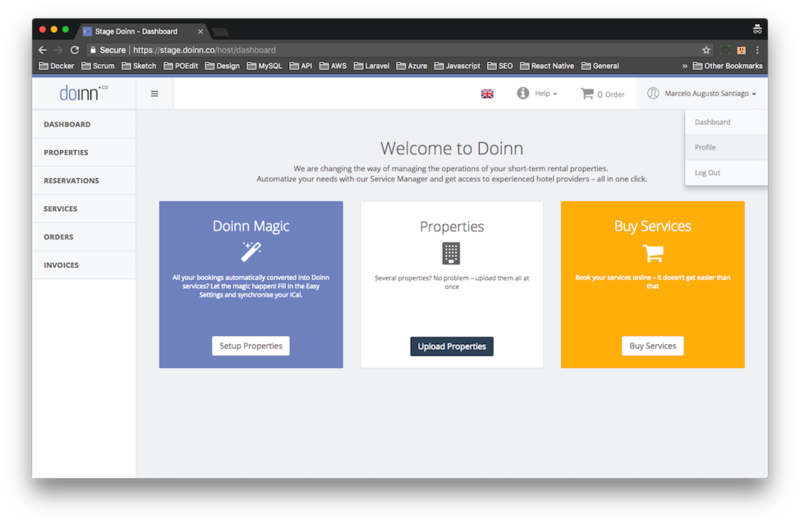 After register in Doinn platform, choose Property Managers. 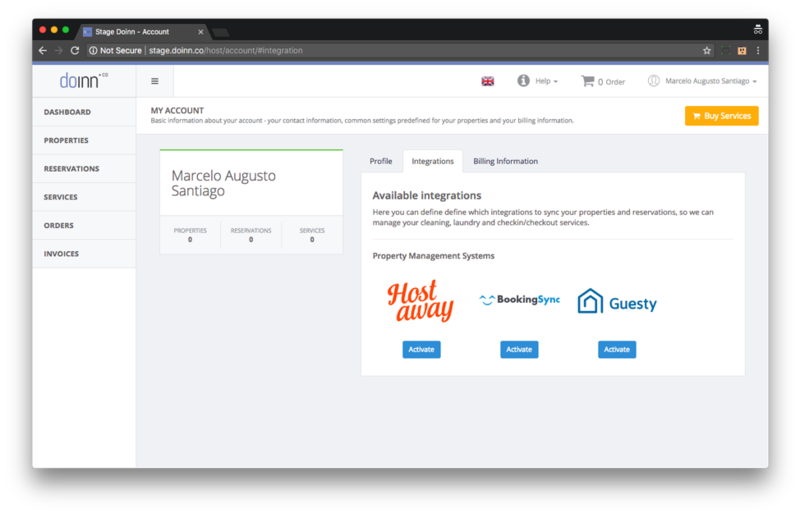 If you already have some properties, click your name and choose Profile. 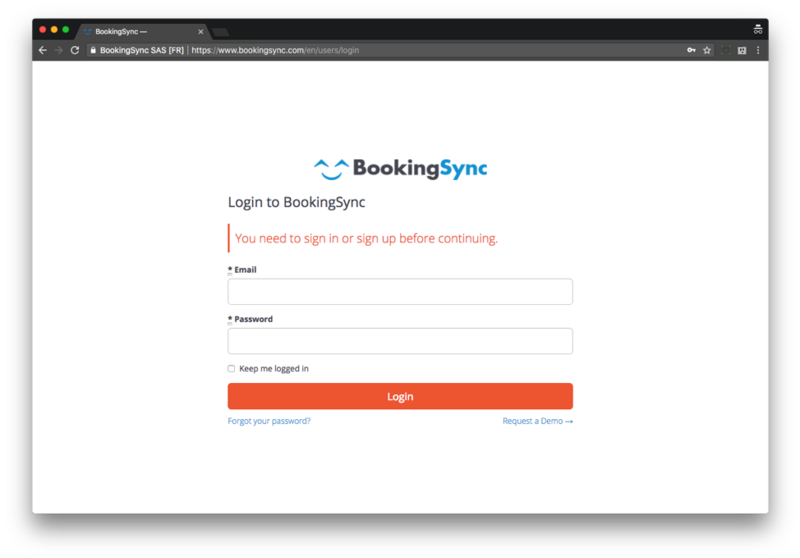 If you are not already logged in, you will need to authenticate with your BookingSync account. 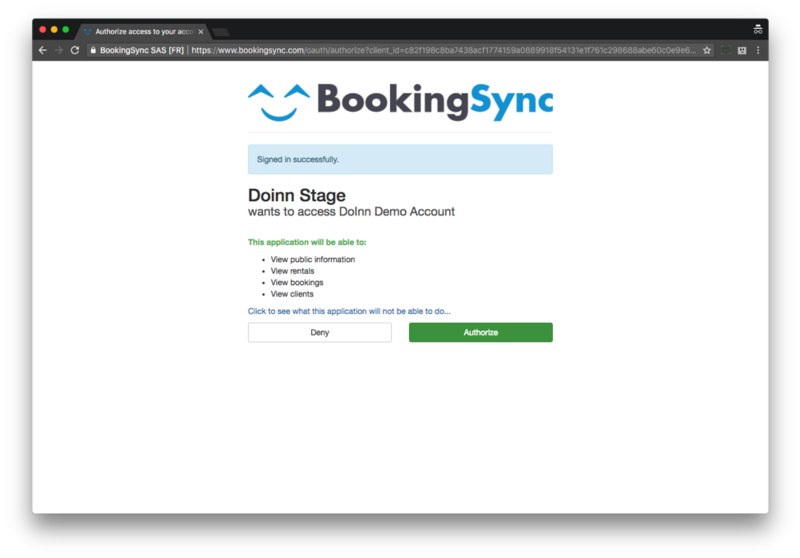 Doinn need your authorization to get properties and reservations information. 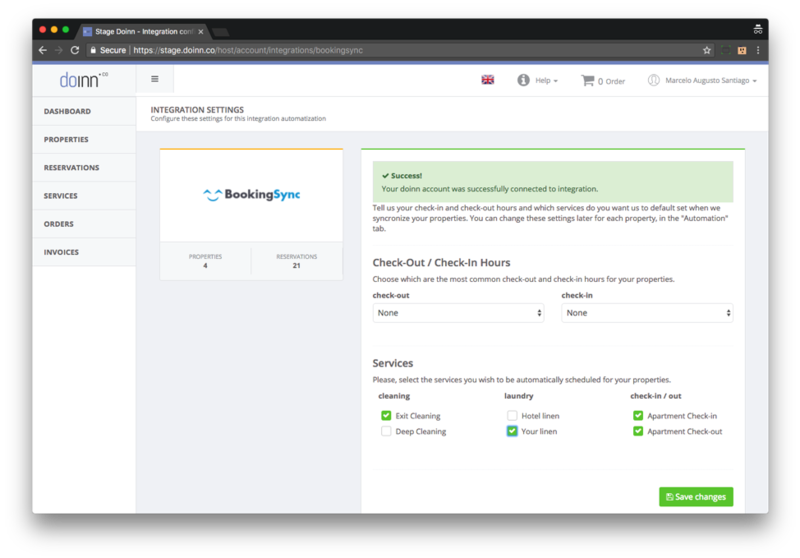 Automatize the services you would like to outsource with us and the default check in and check out hours of your properties. 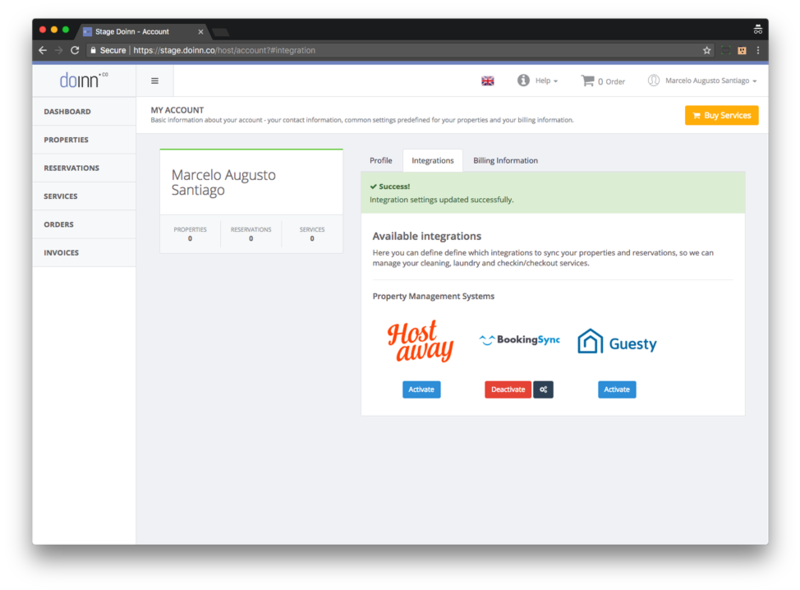 Properties and reservations will be synced and services generated automatically in the next poll. 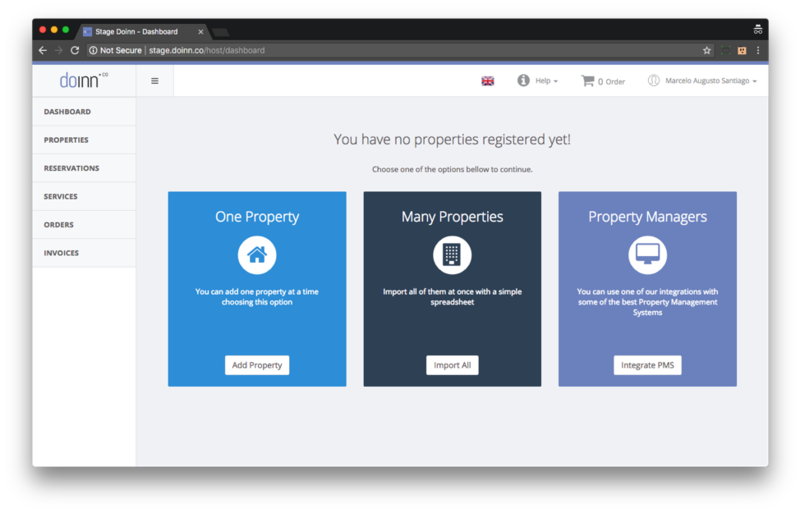 You can then click ok and proceed to purchase in one click.